Recently we get a lot of requests from clients to visit their studios to see if we can optimize their sound. During a visit we measure the acoustics of the studio. But we also take a look at the mastering / listening chain. Both have their influence on the final sound of the productions. 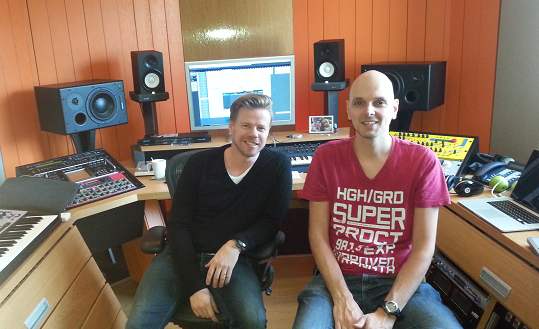 A few days ago we visited Ferry Corsten’s studio to do some measurements to see what could be improved. We have special equipment to measure the studio acoustics. After measuring the studio acoustics we follow the signal path. 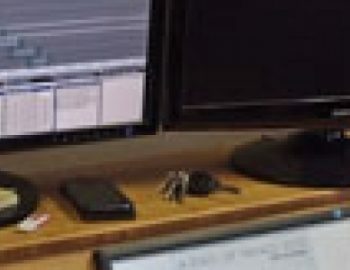 Starting at the Digital Audio Workstation and ending at the speakers. 1. 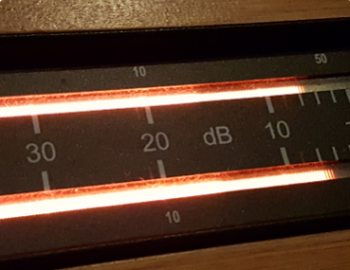 A problem with the acoustics of the control room. 2. A problem caused by the used hardware or software plug-ins somewhere in the production chain. It happens often that certain frequency’s are too loud or too soft in the listening environment of the producer. As a result of this the producer compensates for this by lowering or raising those frequency’s in his mix. Because to his ears those frequency’s do not seem right. So now the mix sounds perfect in his own listening environment. But when played somewhere else, the sound is not balanced. There is not enough bass, or too much bass, too much treble or a lack of it, etc. How the music will sound to the end user is also depending on the acoustics of the end user’s listening environment. Not a single listening room or situation will sound the same. Music can be played in living rooms, cars, clubs, I-Pod (headphones) etc. As a producer you have no influence on those situations. So the only thing you can do is make sure the balance between all frequency’s in your mix is optimal. So when someone else is listening to your music your acoustical problems do not add up with the acoustics of the end users listening room.To accomplish that it’s important that the acoustics in the control room of the producer are as good as possible. Besides acoustical problems, sound problems can also be caused by the hardware used for monitoring. 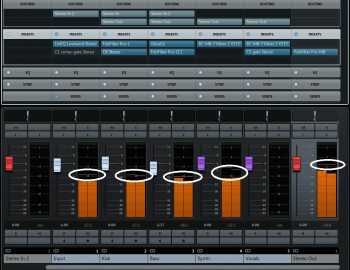 In practice we see that producers sometimes use equalizers between the output of the DAW and the amplifier/active speakers. Most of the time equalizers only make it sound worse. Let’s assume for a moment that this equalizer boosts the low frequency’s. Than the productions coming from that studio often have a lack of low frequency’s. Also sometimes we see a large amount of plug-ins inserted placed on the master channel which can have a negative effect on the sound of the production. I have seen more than once that the frequency’s boosted in those mastering chains are represented too much in the production. We can show the producer by measuring the master channel what goes wrong and where it goes wrong. So after the measurements they have a better understanding of how to prevent sound problems in the future. Moreover we can advise producers which steps to take to improve the situation. So an investigation like this can be very valuable for the producers of nowadays.